Del Monte Philippines is committed to the highest standards of corporate governance and supports the principles of openness, integrity and accountability. DMPI has a strong and robust corporate governance structure which ensures that Management is accountable to the shareholders and stakeholders, and operates in an ethical and responsible manner. Our Board of Directors directs the long-term strategy of the Company, continually evaluates the performance of Management, reviews material issues, and provides guidance on matters relating to governance. Del Monte Philippines Inc. is committed to the highest standards of corporate governance as it supports the principles of openness, integrity and accountability advocated by the Philippine Stock Exchange, Inc. (PSE) and the Securities and Exchange Commission of the Philippines (SEC). 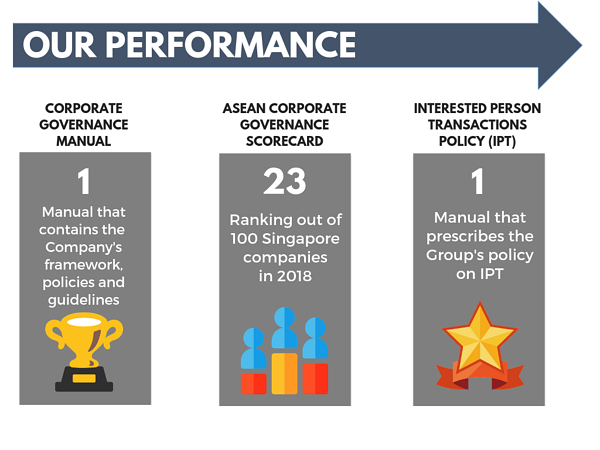 The Board of Directors and Management are committed to use their best endeavors to align the Company’s governance framework with the recommendations of the ASEAN Corporate Governance Scorecard and the SEC’s Philippine Code of Corporate Governance for Publicly Listed Companies. The Corporate Governance Manual of the Company contains the framework of principles, guidelines, policies and terms of references that govern the performance of the Board and Management and their responsibilities that serve both corporate objectives and the long-term interests of the Company’s shareholders and other stakeholders. The Manual contains guidelines that are intended to prevent any conflict of interest on the part of the Company’s directors and executives. The Company’s Interested Person Transactions (IPT) policy and manual prescribe the review and monitoring procedures and approval requirements for any transaction of the Company and its subsidiaries with any interested person such as a director, the Chief Executive Officer, any controlling shareholder or associate of these persons. The policy and manual recognize and guard against the potential undue influence that interested persons may have on the Company especially with respect to entering into transactions that may not be in the best interest of the Company or minority shareholders. In order to protect the Company against any conflict of interest at any level, all employees are required to provide relevant information on a relationship that they may have with any of their employer’s suppliers, service providers, counterparties, other employees or other circumstances that give rise or could give rise to a conflict of interest. The Company implements a Securities Dealings Policy which prohibits certain designated persons within the Company to deal in the Company’s securities while in possession of unpublished material, price-sensitive information or to provide such information to others. The Company implements a Whistleblower Policy that aims to deter and uncover any corrupt, illegal, unethical, fraudulent or other conduct detrimental to its interests that may be committed by officers and employees as well as third parties or any other persons such as suppliers and contractors. Importantly, pursuant to the Company’s Code of Business Ethics, it has a stringent policy against fraud and corruption. Supplementing the Code of Business Ethics are the Employee Code of Conduct and Supplier Code of Conduct which help employees and suppliers navigate several decisions and transactions they make and enter into every day. Adherence to these codes helps employees and business partners to have sustainable business relationships. Del Monte in the Philippines has a Code of Business Ethics which directors, management and all employees abide by. All employees are required to provide information on related party and conflict of interest, which is updated annually. 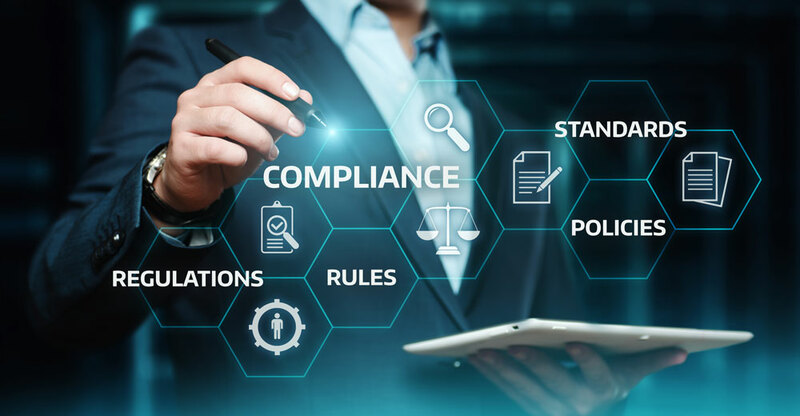 Internal audits are periodically performed to assess corporate, facility and subsidiary processes and controls to ensure compliance with the foregoing policies and to mitigate risk of breaches, fraud, financial and reputational damage. In this Information Age where data is considered the new currency, data protection, privacy, and cybersecurity have never been more important. As data processing evolves and companies increase their reliance on big data, the risks of data breaches and potential misuse of personal and sensitive information have become more apparent and, in many cases, have given rise to new laws and regulations worldwide. In response to this challenge, the Company has strengthened its commitment to protect the personal data of its various stakeholders, including its employees, shareholders, customers, contractors, business partners and suppliers. The Company has adopted a Data Privacy Manual which codifies the Company’s commitment to ensuring the free flow of information to promote innovation and growth, and for the proper management of its businesses, while at the same time ensuring that the subject’s fundamental right to privacy is respected. With evolving privacy laws and regulations, the Company needs to more carefully navigate the changing legal environment while remaining steadfast in its commitment to data privacy. The same applies to cybersecurity laws and regulations which have also become increasingly more complex. Companies can be subjected to fines, injunctions, government audits and, in more serious cases, criminal liability. Our Company is committed to respecting and protecting the privacy of individuals who visit our websites. We do not disclose any of the users’ personal data except as required by law or regulations, and we process their personal data exclusively for the purpose of pursuing the relationship with them as declared in the respective privacy policies of our websites. With the increasing global incidence of cyberattacks on companies’ servers and websites, we have committed to strengthen and improve the security of the Company’s systems. The Company develops and implements measures to counter and eliminate cyberattacks from outside sources. We have engaged a third party to audit our systems and mitigate risks relating to data privacy and cyberattacks. Recognizing that IT Assets are valuable and vital to support tactical business functions, the Company is currently in the process of revising its existing Information Security Policy to ensure that effective protection of information is communicated in a clear and consistent manner.